Built to industrial standards, the Catler professional blender BL 9010 "The Boss™" has a ridiculously powerful 2200-watt motor unit. It's ProKinetix® blade system, solid controls, and heavy-duty construction makes this the last blender you will ever need. The Catler BL 9010 BossTM is equipped with 12 electronic speed settings ranging from the slowest “STIR” through to the fastest “MILL”. Each food needs a different speed to process, therefore STIR mixes more delicate food with a slow stirring motion and light pausing to fold ingredients together. Meanwhile, MILL is the fastest setting and it is ideal for milling nuts, grains and seeds. You can increase or decrease the speed only by turning the speed control dial, so you can easily achieve the desired result. It also has 6 built-in programs with their own pre-set speed, process time and automatic switch off. Apart from the standard programs of ice crush, preparation of smoothies and also green smoothies, there are special programs for frozen dessert preparation, soup preparation, and an auto clean program for proper and safe cleaning of the jar and ProKinetix® blade system. The ProKinetix® blade system together with a uniquely shaped jug combine to effectively process ingredients. 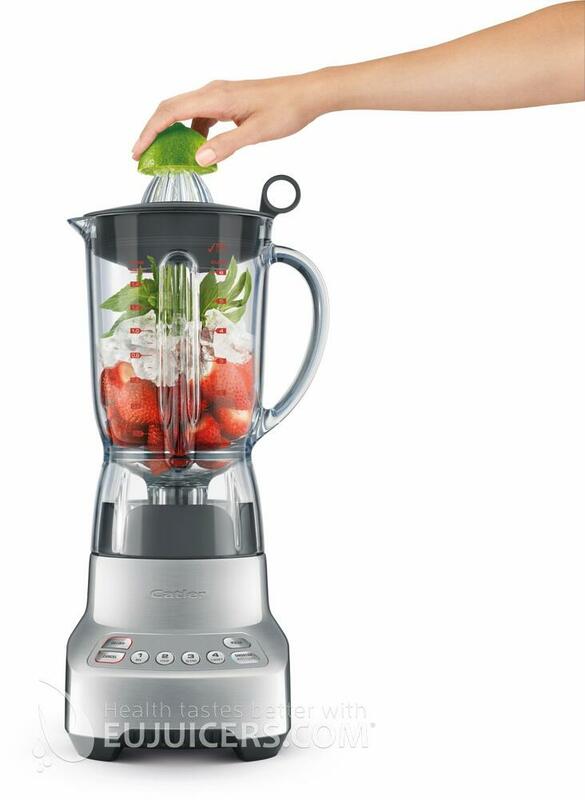 The Boss professional blender creates up to 50% smaller particles of mixed food than traditional blending. This super-fine texture increases absorption of nutrients and creates a smoother mouth feel. The blender jug is made from Tritan™ and has an extra-large 2 liter capacity. It is a copolymer BPA-Free which is very tough, used to make houseware products that can stand up to extreme use and repeated dishwasher cleaning. Products made from Tritan™ are impact resistant and shatter resistant and stay clear and durable even after hundreds of cycles in the dishwasher. Included with the Catler BL 9010 are a scraper and a tamper. The scraper is designed to push food down from the walls while blending. It's also a useful tool to clean out the jar after blending. 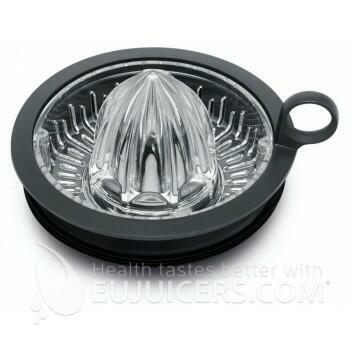 The frozen dessert tamper helps make frozen desserts by pushing thick foods directly into the blades. The repeat function of the BL 9010 the BossTM is used for quick food processing. The blender can remember the last speed setting and when the START/CANCEL button is pressed within 2 minutes, the blender will start at the last speed setting shown on the display. Professional blender for food processing, ice crush, milling, mixing, etc. 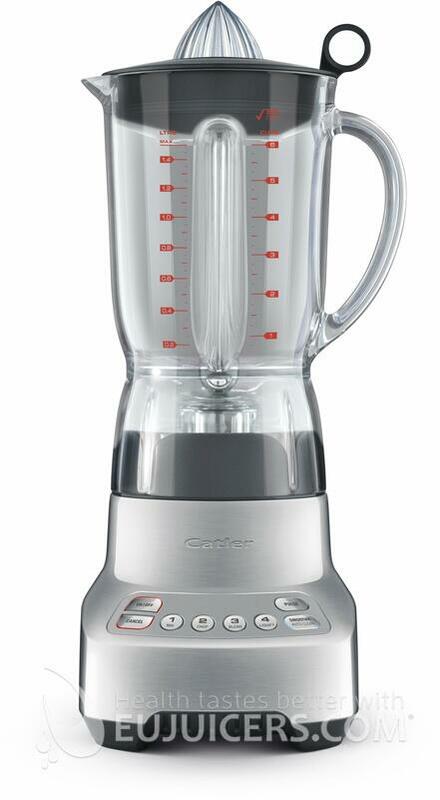 Sleep mode – After 2 minutes of inactivity, LCD powers off and after 5 minutes of inactivity, the blender turns off.